Pillows I had the blocks for these pillows pieced, but had not completed the pillowcases. I sandwiched and quilted the front side. Then I put a zipper in the backs and completed five pillowcases. 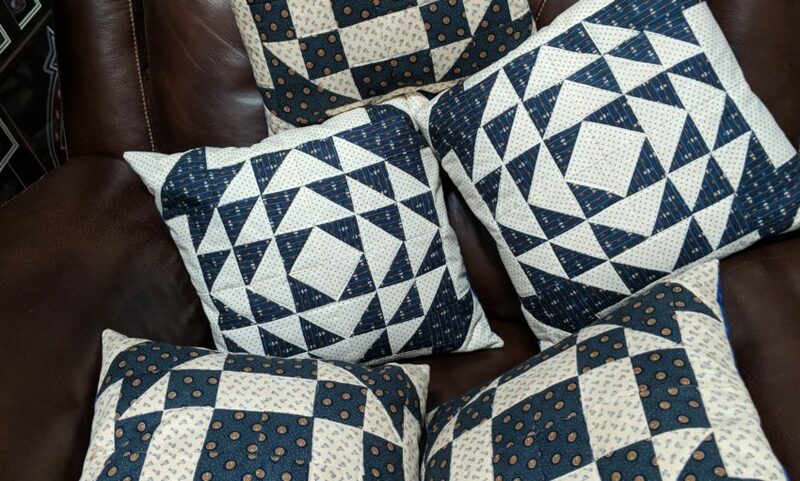 It felt good to finish these pillows. 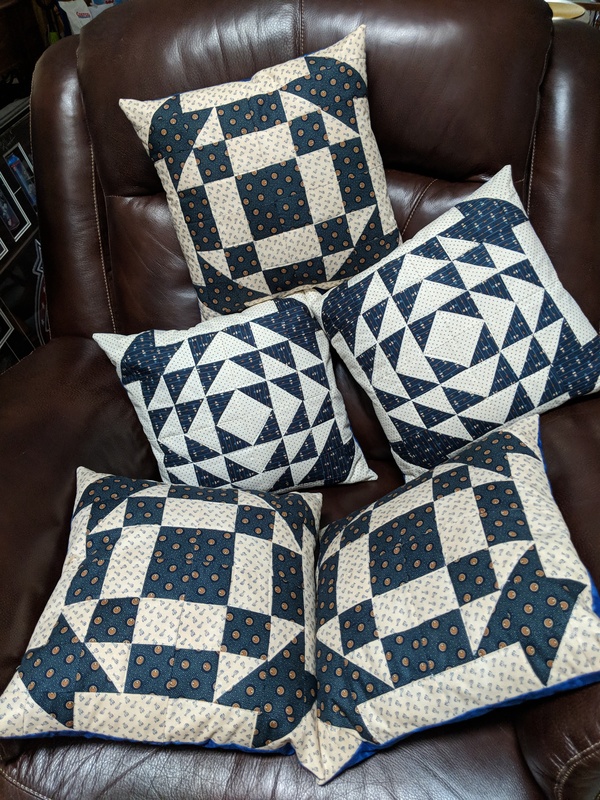 I took two to be raffled at a family reunion and the person who won the auction was happy to have new pillows. I am keeping three pillows to use or put away for gifts. I managed to complete all five pillowcases one afternoon and it really made me happy.